Aardvark Painting makes sure your Chicago cedar house staining quote will be exact, detailed and include written explanations of the different stages in the staining that your home will need to look great and last a long time! Before we start staining your siding in Chicago we do a complete inspection of your home and notify you of any damaged or rotted wood so we can make corrective measures. Your house will be professionally power washed prior to staining. Drop clothes, tarps and plastic will be used to protect from drips and spills. All windows, light fixtures, doors, roof, etc. will be covered with plastic prior to staining. Scrape away any loose stain or failing caulk. Caulking all gaps where wood meets wood up to 1/4″. we replace damaged or rotted wood trim and clap boards. Pound any loose nails and drive wood screws where boards are warped. 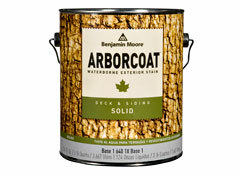 we apply necessary coats of the best exterior stain in Chicago to insure it lasts a long time.